The shortcut was a mistake. They had almost lost the barrel down the steps after it rolled over his uncle’s foot. The boy was still shaken by the thought of what might have happened. What if the two of them hadn’t been able to catch up as it clunked away in the gray morning light? The boy could picture it tumbling over and over and finally smashing against a wall, leaving the thing inside flopped out across the pavement among a scatter of wooden staves. What he couldn’t picture was what they would have done next, and he thanked the gods that he didn’t have to. He had flung himself at the barrel, while his uncle—who had earlier made him promise not to say a word until they were safely home again— yelled curses that echoed between the walls of the apartment blocks. The boy put his weight against the barrel while his uncle hopped about on one foot, still swearing. There was a scrape of shutters above them. Someone shouted, “Keep the noise down!” and someone else wanted to know what was going on out there. His uncle shouted, “Sorry!” It was a word the boy couldn’t remember ever hearing him use before, but it worked. The shutters slammed, and the alley returned to silence, except for the sound of the uncle sucking in air through his teeth when he put his foot back on the ground. Nobody bothered them as they eased the barrel down the last few steps and onto the main street. Then there was the long push up the hill, where it lurched about, sent this way and that by the great uneven stones and ruts in the road. The noise of wheels on cobbles was more irregular now. The sun was almost up and the drivers of the last few delivery carts were hurrying to get out of the city gates by dawn. They were too busy avoiding traffic fines to pay any attention to a man and a boy delivering a barrel. A couple of slaves out early to fetch water eyed them for a moment and then turned slowly to go about their business, compelled to move gracefully by the weight of the jars perched on their shoulders. The boy held his breath as a dung cart rumbled past, and then they rolled the barrel across the street. His arm hurt after that near miss at the steps. His uncle was still limping, his sandals slapping unevenly on the stones. They set the barrel against the lowest point on the curb and then heaved it up and under an arcade that ran in front of a row of shops. “Right,” grunted his uncle. They swivelled it—the boy was getting the hang of steering it now—and then trundled it past the closed shutters of the bar on the corner. His uncle gave the order to stop. They set the barrel upright and he gave two sharp taps on the nearest door with his knuckles. “What did I tell you about keeping quiet?” The uncle gave the two taps again. Louder. “Very funny,” said his uncle. The boy, who hadn’t intended to be funny, decided he would do as he was told and say nothing from now on. Nothing about what they had crammed into the barrel. Nothing about how pointless it was to keep quiet if his uncle was going to curse in the street and bang on doors. Nothing about how anyone who wasn’t as tightfisted as his uncle would have hired a donkey and cart to move a barrel this size. He wouldn’t say a thing, because Ma was right: A boy with a big mouth could get himself into a lot of trouble. Ma also said that any work that paid money was honest work, and if he wanted to eat, he had better go and find some. He certainly did want to eat, but now look where it had got him. He wanted to tell her that his uncle ought to be paying him a whole lot more for this, but then the boy would have to tell her what this was, and the thought of telling anyone made his toes curl against the cold paving. He tried not to think about ghosts. The slaves had stopped at the fountain on the corner, only a few paces away. He could hear the low murmur of voices and the splashing of water. While one was filling his jar, the other would be lolling against the wall and gazing at anything that might be the least bit interesting. Like a man knocking on an unanswered door. It was plain they were wasting their time. The household slave should have been awake, even if no one else was, cleaning out the hearth and getting breakfast. The uncle was making too much noise to hear the creak of hinges from the bar next door. The boy stepped forward and tugged at the side of his tunic. A hefty woman came out of the bar and glanced across at them but said nothing. She started lifting the shutters from their grooves and moving them indoors, opening up the whole of the entrance. It was going to be another warm spring day. “We’ll be back later,” the uncle told her without turning around. The uncle was limping and scowling all the way home, which was a longer trip than it should have been, because he led the boy along a street that passed a big house and down beside the market halls before doubling back down an alleyway, like he always did when he thought somebody might be watching. The boy trudged along beside him in silence, cradling his sore arm and trying not to think about the dead man in the barrel outside the doctor’s front door. Bringing both the majesty and depravity of ancient Rome to life, Ruth Downie concocts a delicious mix of crime novel, mystery, and history lesson in the latest novel in her bestselling Medicus series, VITA BREVIS. 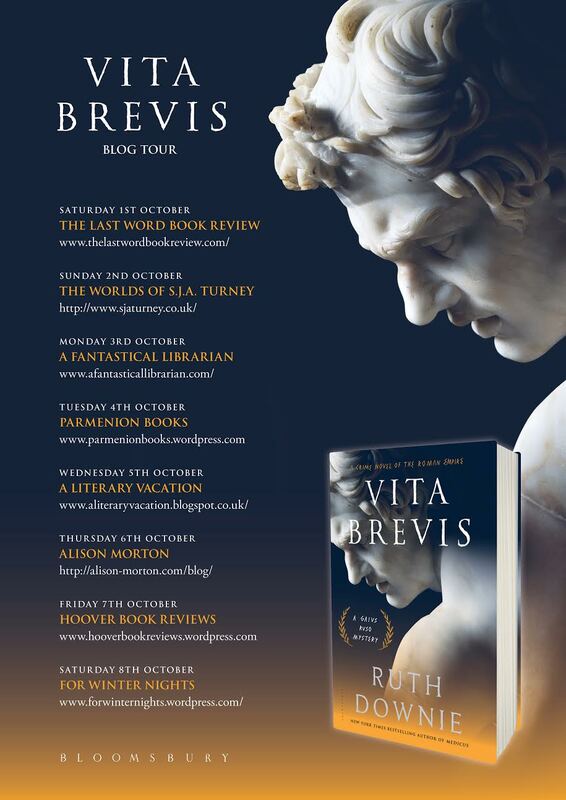 Ruso and Tilla’s excitement at arriving in Rome with their baby daughter is soon dulled by their discovery that the grand facades of polished marble mask an underworld of corrupt landlords and vermin-infested tenements. Ruso finds that his predecessor Doctor Kleitos has fled, leaving a dead man in a barrel on the doorstep with the warning, ‘Be careful who you trust’. Distracted, Ruso makes a grave mistake, causing him to question his own competence and integrity. With Ruso’s reputation under threat, he and Tilla must protect their small family by tracking down the vanished doctor – and discovering the truth behind the man in the barrel. 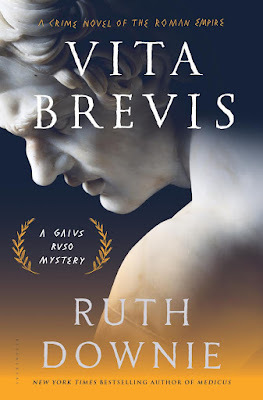 VITA BREVIS is brimming with humor, clever plot twists, and evocative historical details, as Ruth Downie follows her beloved characters in their next adventure. 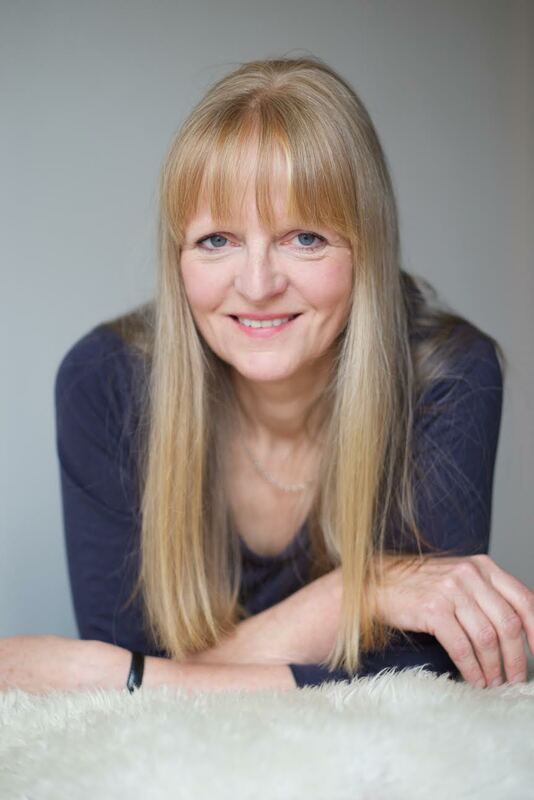 Ruth Downie is the author of the New York Times bestselling Medicus, as well as Terra Incognita, Persona Non Grata, Caveat Emptor, Semper Fidelis, and Tabula Rasa. She is married with two sons and lives in Devon. Find out more about Ruth on her website and connect with her on Twitter.